Congratulations to Cupertino Poet Laureate Dave Denny who has been awarded an Artist Laureate Fellowship from Arts Council Silicon Valley. It’s been my great pleasure to get to know Dave and work with him during our concurrent laureateships. The Laureate Fellowship is a fitting acknowledgement of his talent, his contributions to poetry, and his service to the people of Cupertino and beyond. Bravo, Dave! 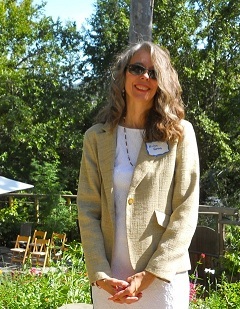 In the meantime, the new Los Gatos Poet Laureate, Erica Goss , hasn’t wasted any time celebrating poetry in the town. Tomorrow in honor of St. Patrick’s Day, she’ll be leading a Poetry Walk through Los Gatos, ending at C.B. Hannegan’s, an Irish pub that will be hosting a town-wide celebration. Erica is calling the walk, “A Pint of Poetry, ” and hopes you’ll join the stroll with her. More info can be found here. Brava, Erica! What a terrific idea. So much goes on in the poetry world while we’re away. Back just in time to with Erica and fellow poets a good walk and a hearty pint today. And congratulations to Dave for his great honor.